3 / I confess that I was dying without wifi and TV this weekend during our little vacation. Also, there are only 2 restaurants on Lummi Island… what. I’ve learned that I’m just not that kind of girl. Give me a Target within 10 minutes drive, and a city within 30, please. 4 / I confess that I got sucked into the infamous thread on GOMI last week/this weekend. I was totally trying to keep up with it, even if my data was being spotty throughout our trip. Oops. And I confess that I’m totally linking up with Liz and Kathy for Humpday Confessions, because on Wednesdays, we confess. What are you ‘fessing up to? that GOMI website seems so mean and scary to me – is that lame of me? haha. I CANNOT do without wifi. I needs the interwebs. Haha, its only mean and scary if you’re the one being talked about :P Idk, I just lurk for the lolz. I know, I need wifi too. I just am not willing to pay to tether my iPad to watch Netflix! While it might sound appealing at first to have no shops/restaurants, I definitely want a lot of choices especially for dinners! And that thread… wow! Agreed! And yeah, that thread was cray cray. Yeah, it was hard, but we ended up listening to a new audiobook so we had some entertainment! I’m about to turn my phone off almost completely for 11 days!! whooo it’s gonna be hard! Lol I read that entire thread monday WOW! you and me both, up until today. now its just a gif party. that gomi thread was insane!! how can someone be that batshit crazy?? but the responses on there were hilarious. i have no idea! i suppose if you’re hurting for attention that much, ya gotta be a little crazy. I know, seriously. I probably could have been much more productive during that time, but so many lolz, so I’m okay with it! Going without wifi is just about impossible. The few days we didn’t have internet at our new place I didn’t know what to do with myself ha ha. Also, that thread on GOMI was INSANE. I stayed up so late reading all of the crazy that unfolded! It was so hard! And yeah, I totally did the same thing. So much crazy! 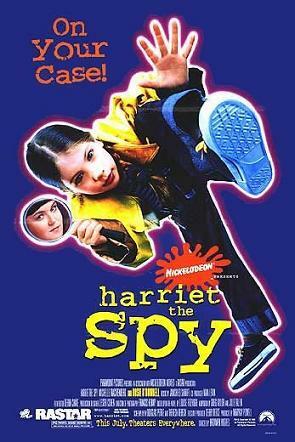 I love Harriet the Spy! I haven’t seen it in forever!